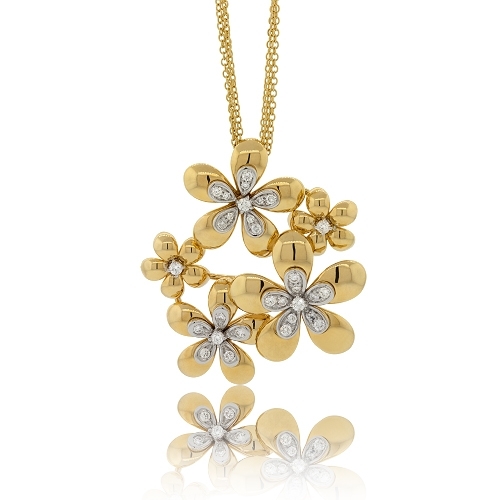 Polished gold floral pendant set with brilliant diamonds mounted in 18k yellow gold suspended from multiple chains. Diamonds approx. .83ct. Chain 18"